A 23-year-old army officer from Odisha was among 133 people killed in the fateful Indore-Patna Express train accident occurred in Kanpur of Uttar Pradesh on Sunday morning. According to reports, the officer identified as Captain Suvendu Kumar Mishra, 23, of Indian Army belongs to Sarankul of Nayagarh district. His family members are staying at Acharya Vihar in Bhubaneswar. According to his uncle Sisir Kumar Mohapatra, the accident occurred at around 3.30 am, but the railway officials informed them at 9.30 pm on Sunday about the death. “My younger brother staying in Delhi had immediately went to Kanpur to find my nephew. He finally found Suvendu’s body in a hospital,” he lamented. 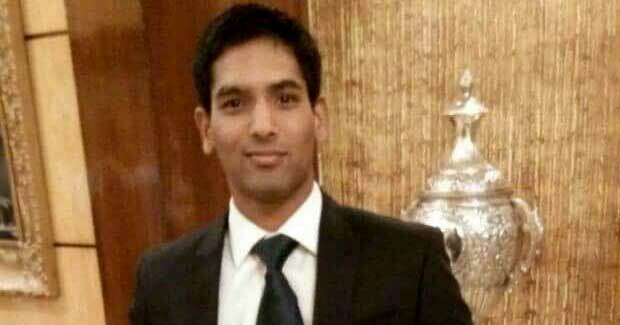 After completion of study at Sainik School in Dehradun, Suvendu had passed National Defence Academy (NDA) examinations to serve the army in 2014. He was taking a tough commando training for special operations. But unfortunately he passed away in the accident. Mohapatra said Suvendu had a wish to donate his organs after death, but it could not be possible as Railway delayed in rescuing his body. His mortal remains would be flown to the capital city. His body will be cremated at Satya Nagar crematorium, family sources said. Suvendu’s father Himanshu Sekhar Mishra, a senior general manager in a steel company, and mother Binati Mishra are staying in Angul.